the Italian OE/OTO mounting, both introduced in the early 1970s. The latest Oerlikon development is the Millennium system, being developed in conjunction with Royal Ordnance, who are supplying the gun mounting. It is designed around Oerlikon's new 35/1,000 gas-operated revolver cannon which fires at 1,000 rpm via a linkless feed. 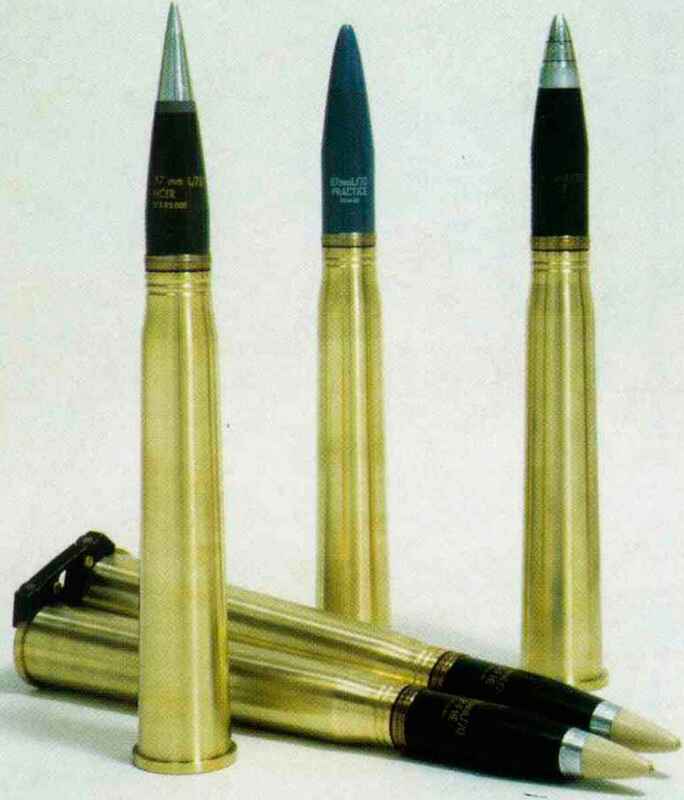 The associated AHEAD ammunition system previously referred to has a greater effective range than most CI WS and is claimed to be highly effective against both missiles and aircraft. The current mounting, weighing 2,660kg loaded, has only one barrel with a distinctive bracing to steady it against the rapid traversing rate of 120°/sec (the elevation rate is 60°/sec). A typical Millennium engagement would consist of a burst of eighteen rounds at an engagement range of 1.65km, taking 1.5 seconds and firing a hail of 2,736 high-velocity sub-projectiles at a cone angle of 15° into the path of the aircraft or missile. 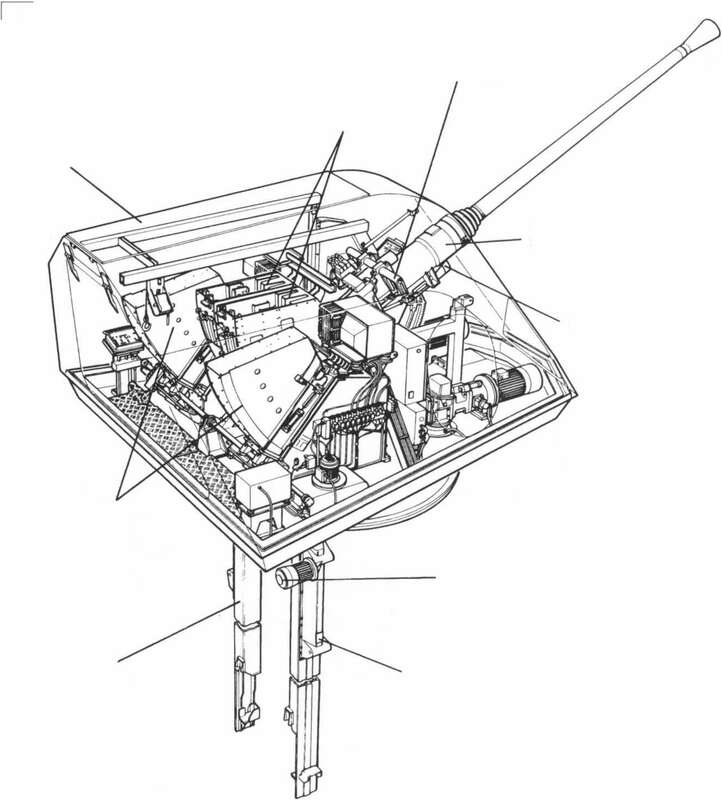 At the maximum engagement range of 2.1km, a thirty-six-round burst is calculated to be necessary to ensure target destruction. This system is still being developed but appears to offer significant advantages in the anti-missile role, which will become more difficult in the future with the advent of supersonic anti-ship missiles. The AHEAD system has already been selected for use in the South African Navys GA-35 twin mounting, to be fitted to four new corvettes. It has recently emerged that China has breathed new life into the old 37mm calibre by introducing a rimless 37 X 240 cartridge for the NOR1NCO Type 76A twin mounting. This has a larger capacity than the usual 37x250R case to achieve a higher muzzle velocity, and an effective range of 3.5km is claimed. 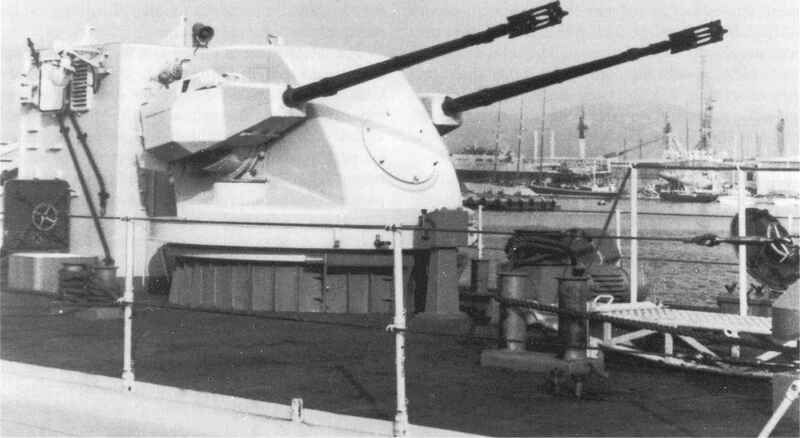 The new mounting (also referred to as the NG15-2) is described as a locally produced version of the Italian 40mm Dardo, with the characteristic domed gunshield and using the same Fast Forty design concept to increase the rate of fire to around 380 rpm per gun. It is fitted to the Luda III and Luhu class destroyers. version and the effective range is greater. Current efforts are focused on the Trinity system, a combination of improvements to the ammunition, gun, mounting and fire control system, which results in a burst of proximity-fuzed HE shells fired in a controlled pattern to saturate the target area with lethal fragments. OtoBreda have produced mountings using their own versions of the Bofors guns. The Twin Compact mounting has the firm s typical spherical gunshield. For the Dardo AA system, which has anti-missile capability, the OtoBreda Fast Forty guns have been substantially redesigned to achieve 450 rpm per barrel. The weight of a mounting without ammunition is about 5,500kg. To replace the Bofors L60 in the 1950s the RN favoured obtaining large quantities of the new, high-performance L70 Bofors gun, which had been adopted by the British Army. However, these plans did not come to fruition, presumably because of budget restrictions, the availability of vast numbers of war-surplus older versions of the Bofors, and the development of the Seacat AA missile which was regarded as the replacement for the Bofors. There was no further development of light automatic cannon for the RN until after the Falklands War, the essentially wartime Oerlikon and Bofors guns remaining in service for second-line duties into the 1990s.